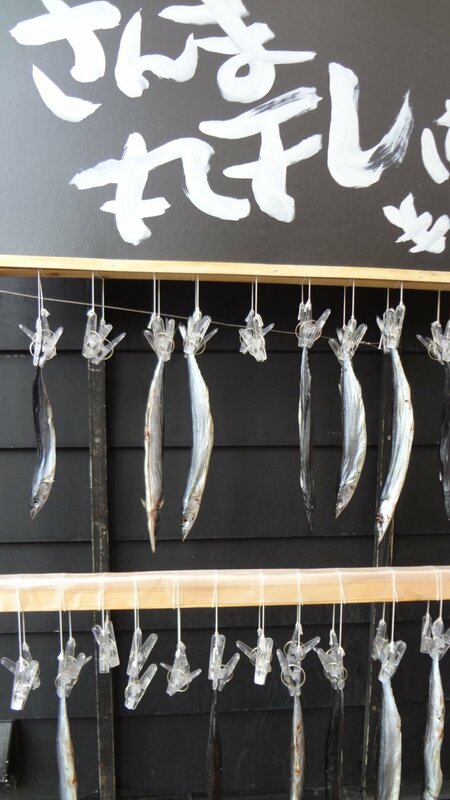 Dried fish are a specialty of this district. 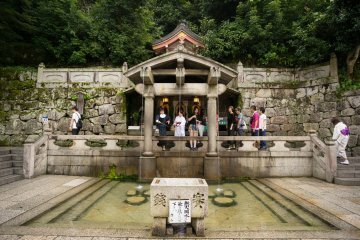 Hakone-Yumoto is the gateway to the Hakone hot springs mountain resort area. There are three main approaches to Hakone-Yumoto. 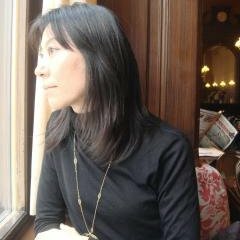 Go to Odawara by the JR Shinkansen and switch to the Odakyu Line for Hakone-yumoto. 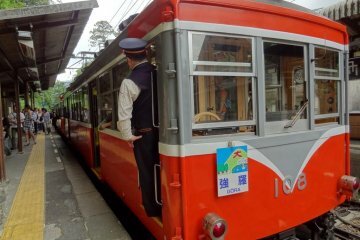 All of these modes of transport stop at Hakone-Yumoto, and there you will need to change to the next mode of transportation. Or enjoy Hakone-Yumoto itself! 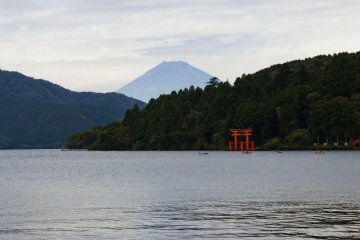 If you are not in a hurry before you need to head on to your next destination, I recommend that you stop and enjoy Hakone-Yumoto for a short time. 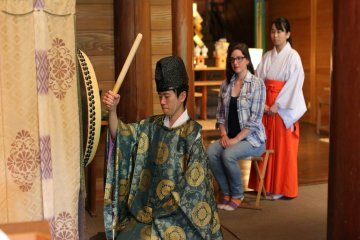 There is a lot to do here—after all, it is a bustling hot spring town! 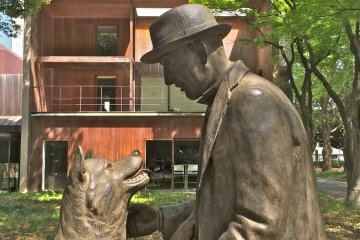 So enjoy walking down the cheerful shopping street near the station, taste some nice food, and take a short hike through tree-filled and hilly So-un Park on your way to So-un-ji temple. 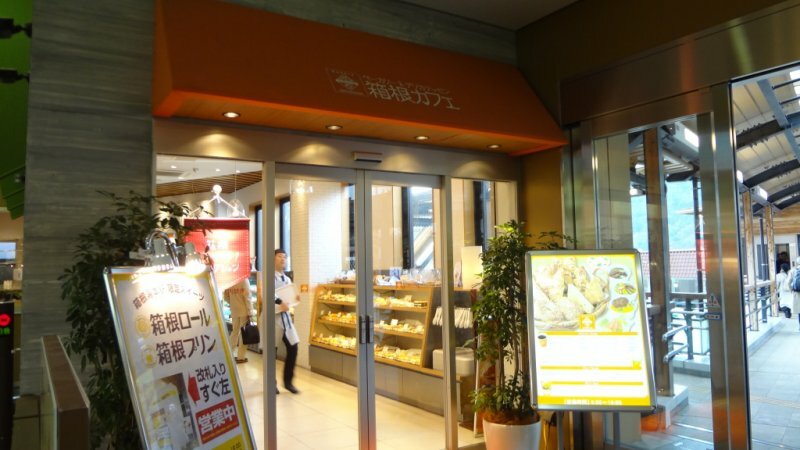 There is an excellent and quite famous bakery-café inside the station building itself. Hakone Café is on the second floor. You can’t miss them—they have a big red sign over the entrance. They don’t have a huge assortment of breads, but what they do have is excellent. 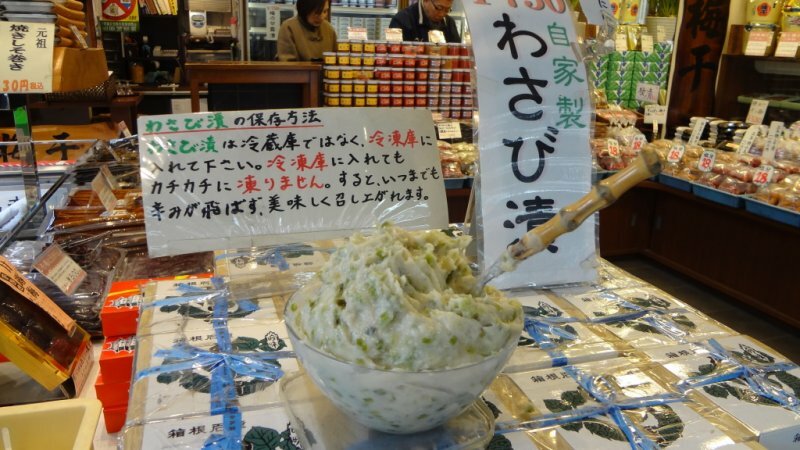 Several sorts of salads are around 300 yen each. The apple pie is more expensive than their other pastries but stuffed full of juicy chunks of fruit, and rich in taste (350 yen). Their cinnamon roll is soft inside and crunchy outside (180 yen). The café, which also has window seating overlooking the busy station platform, opens at 8 AM and closes at 7 PM. The main street that passes in front of the station is Route 1. 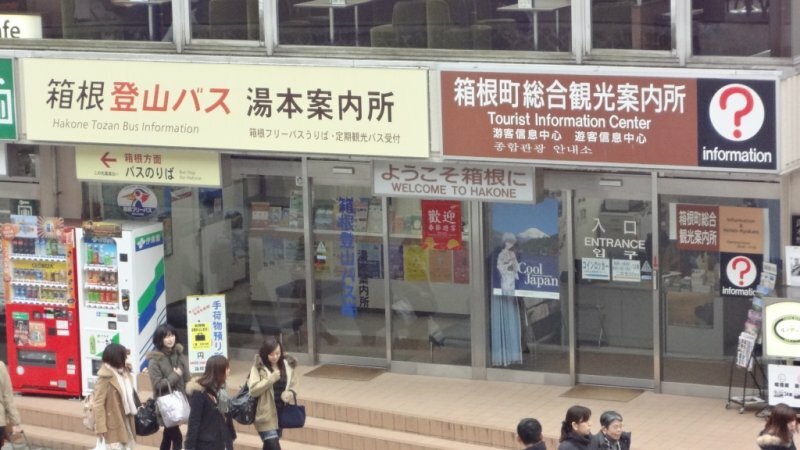 Standing in front of the station, you will see a taxi stand, Information Center, and bus stops across the street. To your right is the previously mentioned lively, bustling shopping street. First, let’s eat some traditional Japanese food. 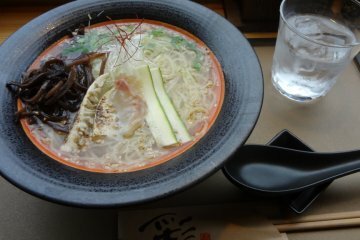 Tai-Ramen serves noodles in a sea bream broth. It is quite delicate and refined. Jihei serves traditional soba dishes in a room with big windows, a high ceiling, and a Japanese garden outside the windows. 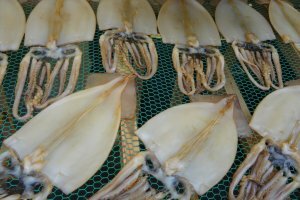 Hakone-Yumoto is close to both the sea and mountains, so its many shops carry an abundance of seafood and mountain products. 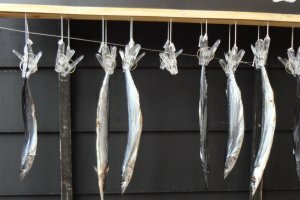 Dried fish and dried seaweed are notable examples. Strolling along the street, there is a lot going on. 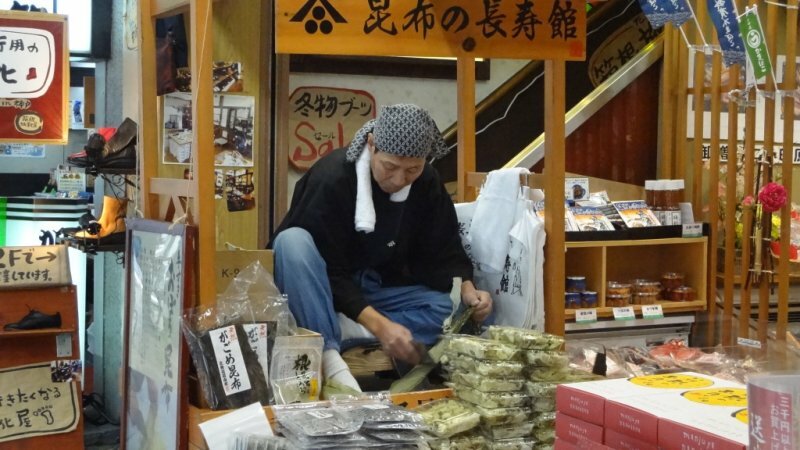 For instance, in front of one shop you might find a man demonstrating how they make slices of dried, shaved seaweed. 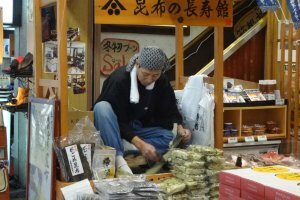 You might not believe it, but seaweed is really healthy and delicious, and also makes a good soup stock for all kinds of Japanese dishes. 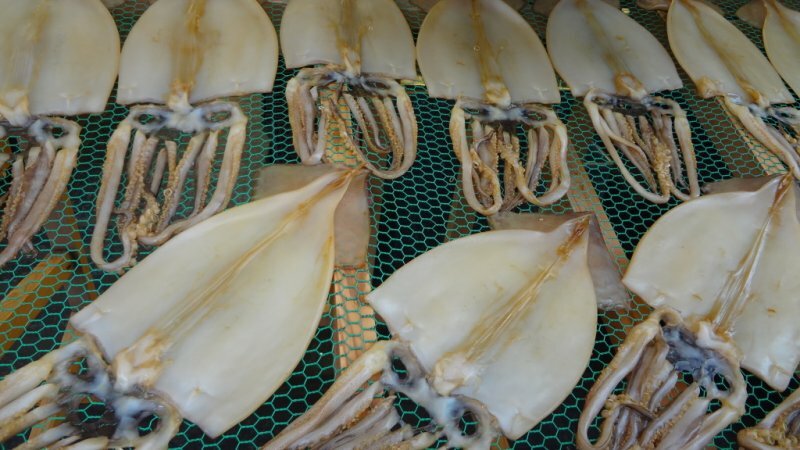 Other shops have tasting samples of squid or other fish on plates out in front. 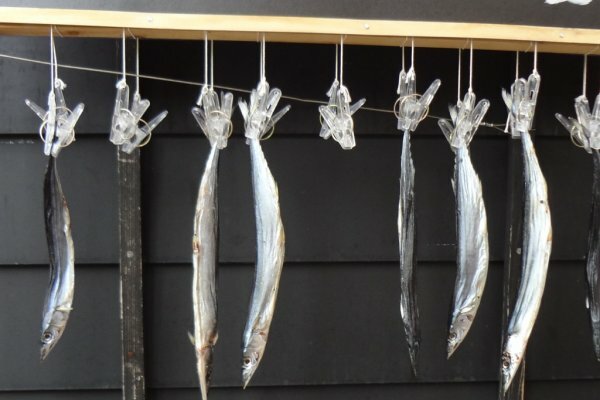 Dried fish are a specialty of this district. 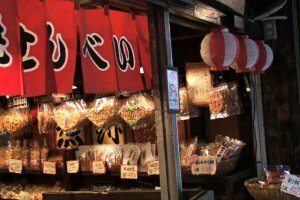 Kompeito or ‘sugar candy’ was brought to Japan around 1550 by the Portuguese, and it has been popular in Japan ever since. 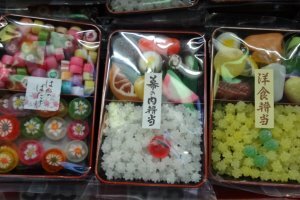 Strolling along, I also found fun colorful boxes of kompeito that were lunch box imitations. Quite clever. Wasabi is usually grated and used for sashimi and sushi. But there is another way to enjoy it. 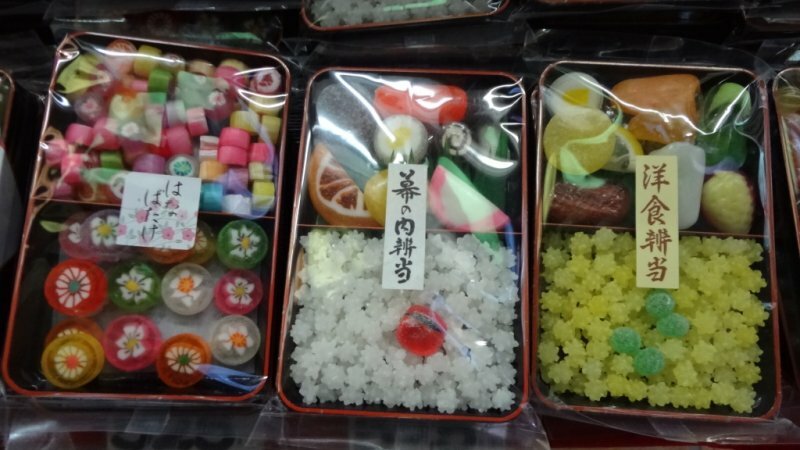 When preserved in sake remains, it becomes a nice snack while drinking! 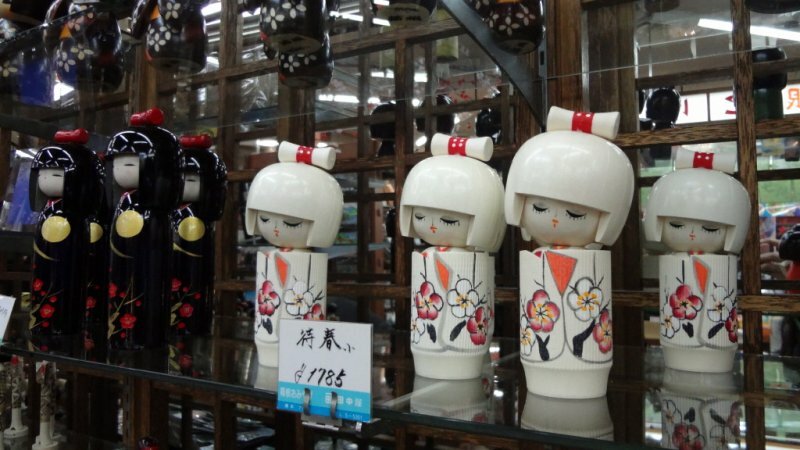 Kokeshi is a Japanese cylindrical wooden doll. It’s pretty and makes a thoughtful souvenir. 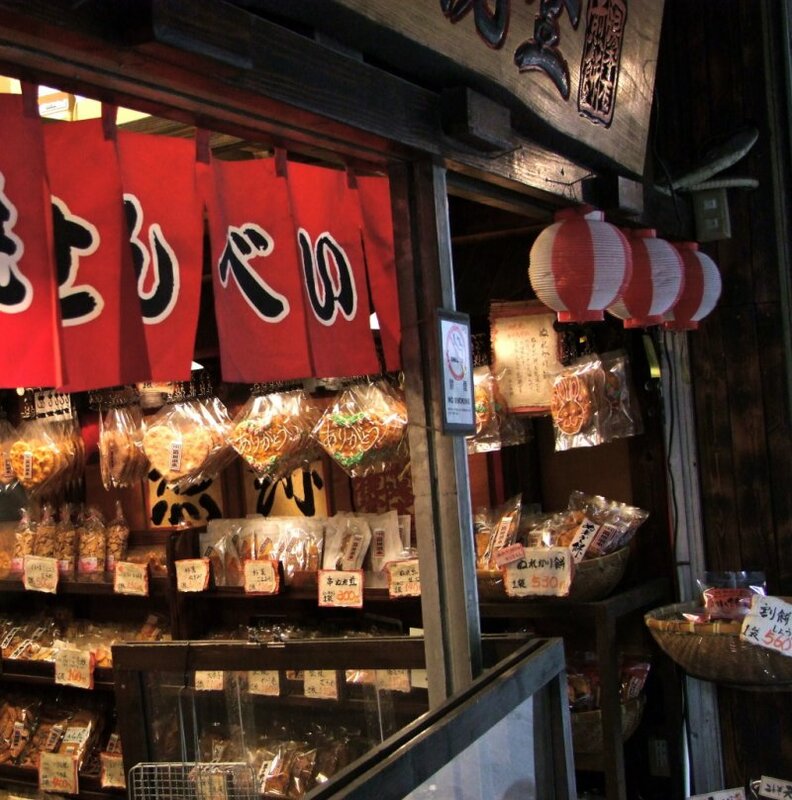 Please enjoy hunting around in these interesting shops and find something new to you! 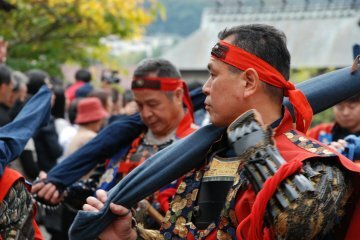 After all, this is Japan! 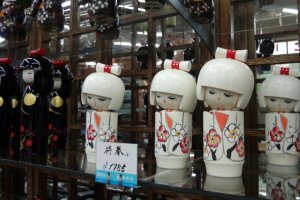 If you drop by Hakone-Yumoto and enjoy a short walk around the station, I bet you’ll find some small treasures!